I was at Ikon Connaught Cheras recently, after their soft launch a couple of weeks back to do some weekend shopping with the family. Tokyo Kitchen opened a branch over at Ikon Connaught which prompted me to try out their dishes as I have heard lots about this chain but haven't had the chance to dine in. Check out some of the dishes we had that day, in full glory below. Located on the ground floor of Ikon Connaught, it wasn't hard to find being just next to the main entrance of the mall. Entering the restaurant gave a nice sense of comfort with pleasing Japanese-like decor. 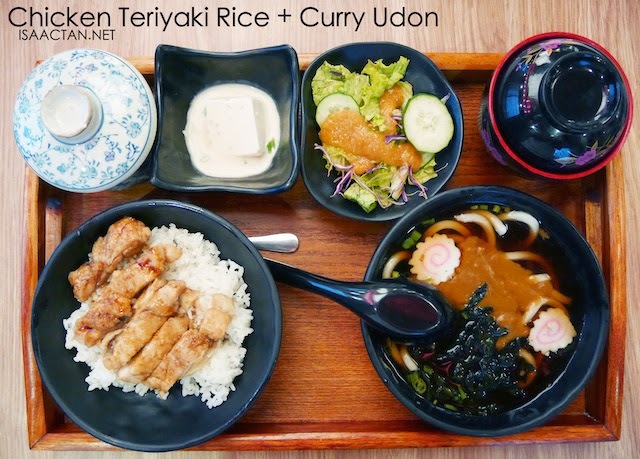 We ordered the Chicken Teriyaki Rice & Curry Udon dinner set first as it looked really nice on the menu. The set came with Tofu, Salad, Miso Soup and Chawanmushi. It's pretty filling for one person as you have both rice and udon on one plate. The curry udon tasted pretty unique with the curry being rather mild, drowned by the heavy taste of the udon soup. I took the chicken teriyaki set which was a safe choice, albeit being rather boring. 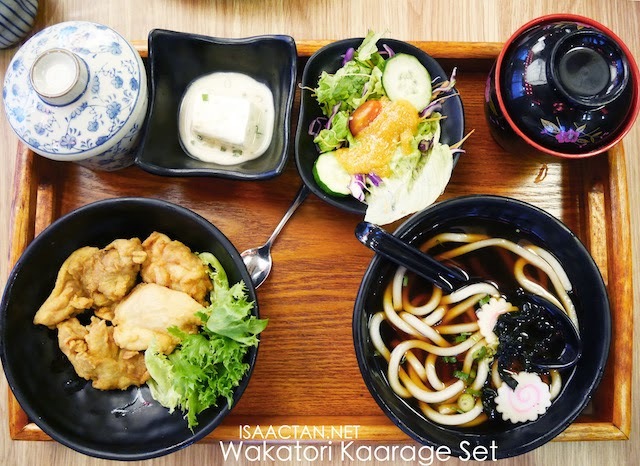 Janice chose the Wakatori Kaarage & Hot Udon Set which tickled my fancy much more than the first set. Probably due the the crunchy chicken kaarage, which wasn't as filling as the chicken teriyaki with rice. Everything else was similar to the other dinner set with the chawanmushi, tofu, salad, and miso soup on the side. Did I mention I love chicken kaarage? I would have ordered another whole plate of the chicken dish had Janice not stop me that evening. 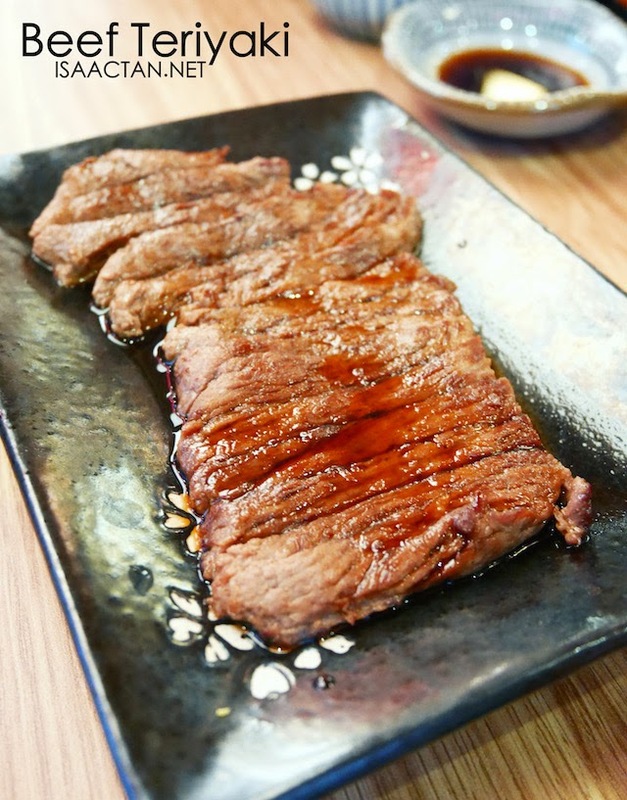 If you're a beef lover, then you must try Tokyo Chicken's Beef Teriyaki. I was initially taken aback by the pricing, but when it arrived, and after popping a huge chunk of it into my mouth, I must say it was a good choice. Akin to medium done steak, the beef teriyaki came rather bloody, grilled with teriyaki sauce. I loved the taste, and tenderness of the meat. Good stuff. Another one of my favourite dish, one which I would order every time we have Japanese food. Tokyo Kitchen's Soft Shell Crab Tempura came in a bowl, with generous chunks of deep fried soft shell crab filled to the brim. 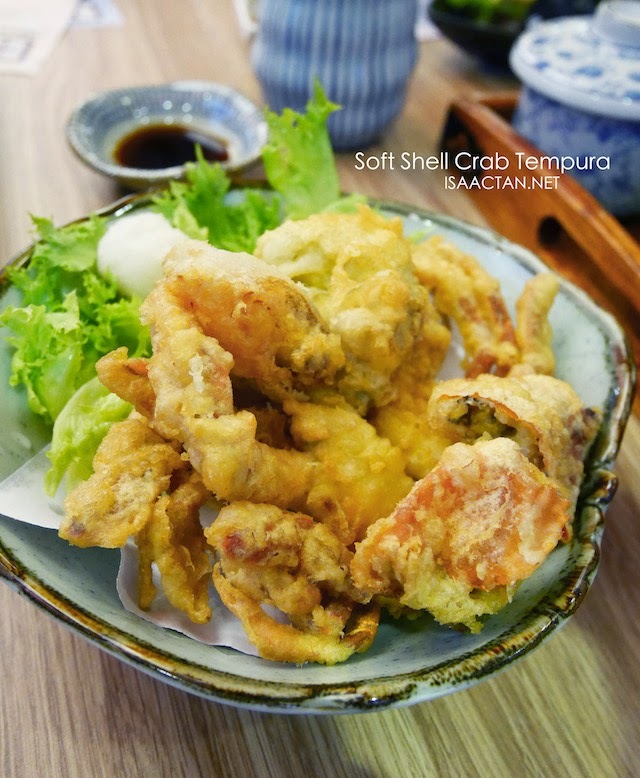 Unlike some other japanese food outlets, here the soft shell crabs were the real deal, more meat than flour, giving out a delectable crunch before literally melting in our mouth. 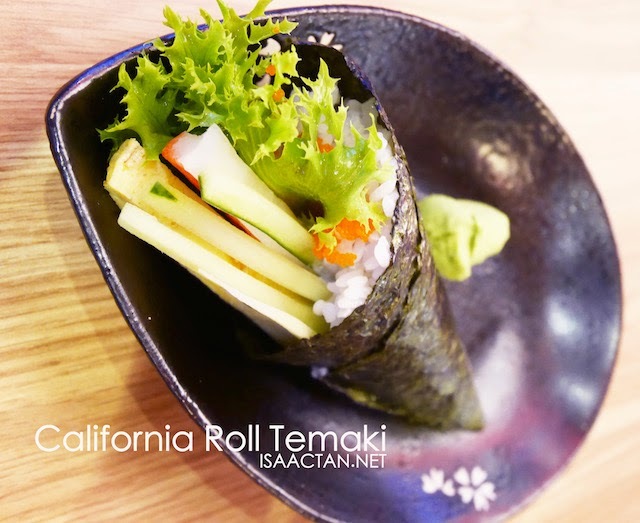 We ordered the California Roll Temaki just to try out their handrolls. As usual they had crabmeat, omelette with cucumber and mayonnaise inside. I wasn't too happy with the portions though, as can be seen in the picture above it was rather 'empty'. Overall a good meal out, so do check Tokyo Kitchen the next time you are out shopping at Ikon Connaught Cheras. Nice. What's in the blue and white bowl on the top left? I have this weakness for blue and white crockery. So nice, love them!! !